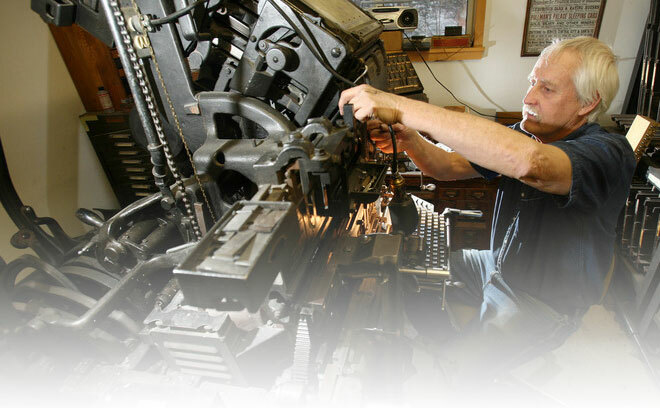 As I get ready to launch my new web site, I have been thinking about the book printing I do and wonder why people would want letterpress-printed books when they can have e-books. I’m told e-books are easy to download (I can’t vouch for that as I have never published nor read one), many of them can be tucked into a relatively small space and their price supposedly makes them attractive. Despite all the ballyhoo about e-books, everything I read is that they are losing favor with readers. Industry predictions of stupendous e-book growth simply have not materialized. So why this when industry savants predicted printed books were dying? Then it came to me. Fine, hot-metal typeset and letterpress-printed books are to e-books what culture is to reality TV. I found this video which explains the difference between real and virtual. Hope you will enjoy it.